Before you start exploring subjects at University of Houston-Clear Lake because you love them, before you get to know the professors who will change your life, before the all-nighters, before the hours you’ll divide between our library and our art gallery and our nature preserve and our 100 student groups and before the weekends you’ll spend exploring Houston and all its diverse communities have to offer…Before all that, you have to apply. Admission decisions are made based on your completed application up to the final deadline for applications and documents. You will receive an email concerning the status of your application within 3-5 days of the submission. Check the status of your application online through E-Services using your UHCL student ID. Maybe you’ve heard we’re one of the most affordable colleges in Texas. At UHCL, you can get an education and start your career without owing a fortune in student debt. Learn more about paying for college. 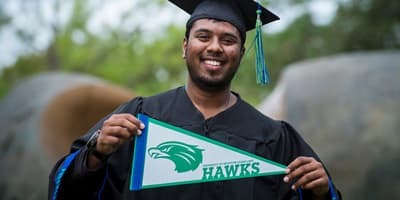 We can send you all the information you need about UHCL, your degree choice and paying for college. You can check us out on Facebook and Twitter, too. But the best way to get to know us (and vice versa) is to do it in person. Coming here is love at first visit – so reserve a spot on one of our campus tours, which are offered several times a week, or plan to attend an admissions event such as an open house. 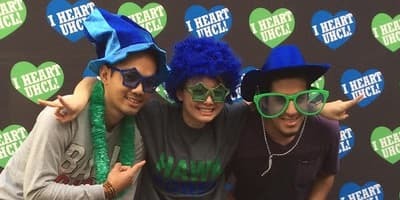 Are you an international student looking to enroll in UHCL as a freshman? 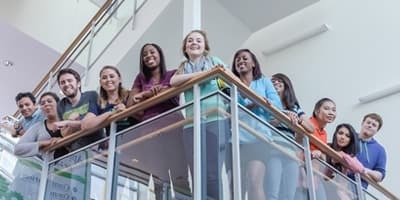 Learn more about International Admissions!